Oklahoma Mother's Day Classic website. This years event has passed. at the 2019 Tulsa World Cup! 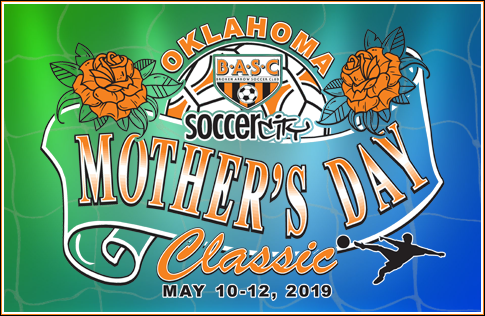 Broken Arrow Soccer Club is proud to host this end of season tournament for the 37th year on the best fields in Oklahoma. All games will be played at the Indian Springs Sports Complex. 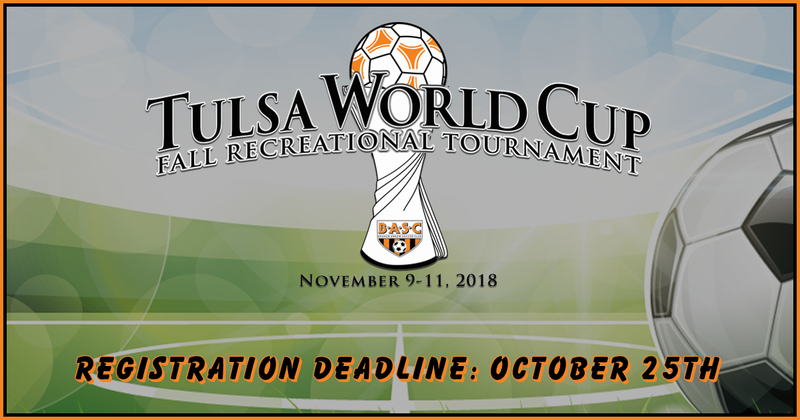 This tournament is open to all recreational teams U6-U19. Is your club the best around? Register Now to find out! All Top flight (gold) brackets for each age division U7-U19 will be included. Points will be awarded for each club who have teams place in the top three in the Gold Division. All points will be combined for a Club Total. Are you interested in playing, but not fully committed to registering yet? Do you want to see which other teams are interested before you register? We have a solution. Add your name to our Interested list. This does not mean you are registered, you have just expressed intererest and can see what other teams are interested as well. This is not a committment to register, just a way for everyone to express thier interest in the tournament and make the best decision for their team before they register.